The Grand Californian Hotel is the flagship Disney hotel at the Disneyland Resort in California. It is a luxury, deluxe resort built in 2001 in the manner of Grand Floridian and Beach Club resorts at Walt Disney World. We love the Grand Californian Hotel! Our favorite things are its location, proximity to the parks, and its architecture. 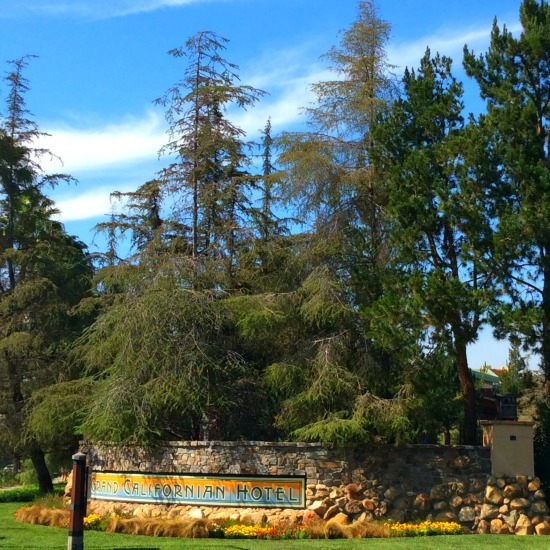 Read on to see what the Grand Californian Hotel has to offer. The Grand Californian Hotel demonstrates the California Arts and Crafts style of architecture that was popular around 1900. Arts and Crafts design uses natural materials such as wood, stone, and brick, and displays intricate details with natural colors. Often compared with Wilderness Lodge at WDW, closer inspection shows definite distinction. 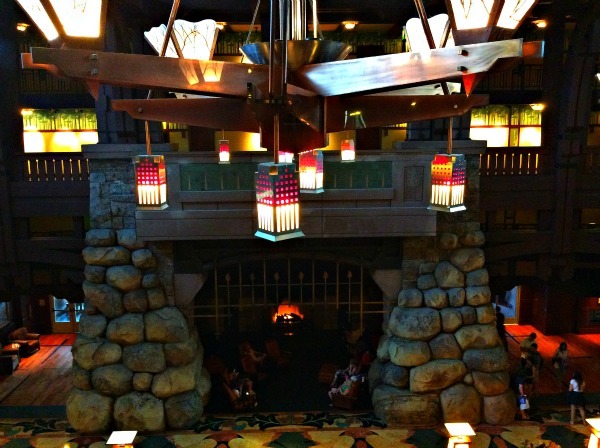 Whereas Wilderness Lodge has rough-hewn logs, the Grand Californian Hotel design is much more modern and refined with polished woods and stained glass. The exterior, interior, and landscaping are all hold true to Arts and Crafts design. I highly recommend that when you stay here, you take the time to tour the entire resort to fully appreciate Disney’s attention to detail. View over Disney California Adventure from Grand Californian Hotel terrace. 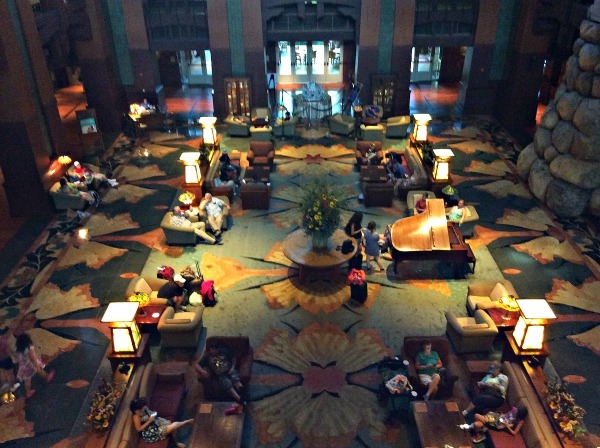 The compactness of the resort is one aspect of Disneyland that we favor over Walt Disney World. No busses are needed! Everything is within walking distance. The Grand Californian Hotel actually has an entrance directly into Disney California Adventure! You enter straight into Grizzly Peaks. The Arts and Crafts architecture and landscaping blend seamlessly into Grizzly Peaks. You are only about 1/4 mile from Soarin’ Over California and maybe 100 yards from Grizzly River Rapids. You get drenched on Grizzly River Rapids. It is so much fun, if you are in the right clothing. Our son wore swim trunks and a t-shirt down to the ride, used the Single Rider Line, and rode this wet and wonderful attraction 6 times in hour! It was then a short walk to the room to dry off. The Grand Californian Hotel also opens directly into Downtown Disney with loads of shops and restaurants from which to choose, as well as street performers at night. The walk to the entrance of Disneyland Park is only about 1/4 mile: NO BUSSES! 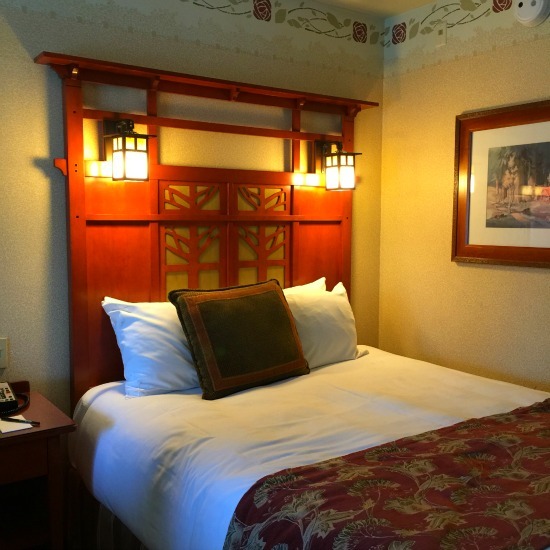 The Grand Californian Hotel is a deluxe Disney Resort with all the features that you expect. It has a small contingent (not nearly large enough!) of rooms for DVC members. It may seem confusing that the Grand Californian uses the name hotel instead of resort. At Disneyland, the entire complex (parks, hotels, Downtown Disney) is called Disneyland Resort. So this is actually less confusing. As with the WDW deluxe resorts, everything is detailed and beautiful. This is luxury! The lobby is expansive with a massive fireplace and vaulted ceiling. There are several shops from which to browse. The Mandara Spa is a full service spa with multiple treatments, and there is a well-equipped fitness room. There are several pools, all with Arts and Crafts theming, and a great waterslide. The cast members (staff) are friendly and helpful. There are four dining options in the hotel (right outside the door in Downtown Disney are loads more!). Napa Rose is an upscale, table service restaurant with a menu focused on fresh California fare. With beautiful Arts and Crafts details and a wine country feel, it overlooks Disney California Adventure. Storytellers Cafe’ is a family-style, table service restaurant with Arts and Crafts details, but a more laid back, playful feel. We had a character breakfast here and loved it! The food, the decor, and the Disney characters made for a wonderful experience. Whitewater Snacks is the Grand Californian Hotel quick service option. It has a campground feel with a wide selection of more hearty options than I expected. Hearthstone Lounge offers drinks, cocktails, and “snacks.” The snacks are full meals like flatbreads, sliders, etc. The Arts and Crafts details flow into the rooms, too. The Disney presence is subtle, but there is enough to make you smile. Some rooms have views of Disney California Adventure, but all of the views are nice. The rooms are large and comfortable. 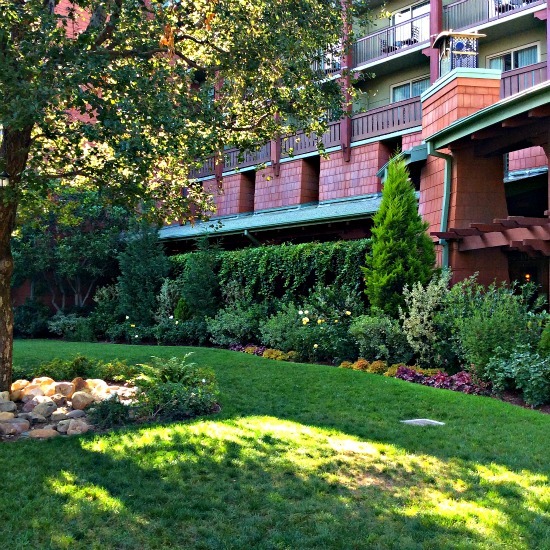 The Grand Californian Hotel at Disneyland Resort in California is the best place to stay on your Disneyland vacation. 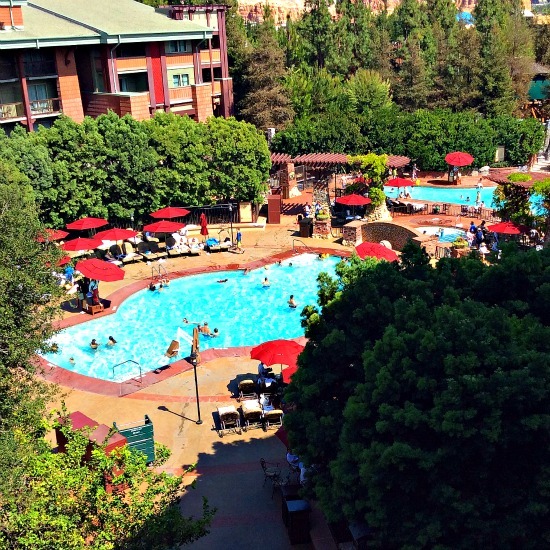 With all of the amenities you would expect from a luxury resort, the location with its access to the parks and Arts and Drafts style make the Grand Californian Hotel arguably the best Disney Deluxe Resort. If you have the chance, I highly recommend that you stay here. We’re heading to LA in September and naturally Disney is in our plans. This is a hotel we would love to stay at, but for Aussie’s it’s expensive when added to the costly airfares we need to buy for a family of 4 to get there. Hi, I understand that! We went there for a conference so had a discounted rate and some covered costs, but our annual passes from Disney World didn’t work so tickets were a lot and airfare for us to California was a lot more than just down to Orlando. We went earlier in the year and stayed at the Disneyland Hotel and it was very expensive. My son wants to go back, but I told him Disney World is so much cheaper. 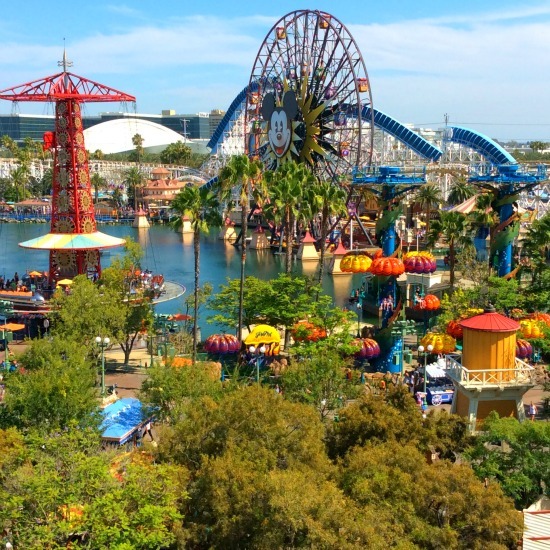 We use our DVC points and have annual passes plus the airfare is pretty reasonable. There are other places we want to see too. I hope you have a great time! We haven’t stayed at Saratoga Springs, but it looks nice. We love pretty much all of the Disney properties to one degree or another! 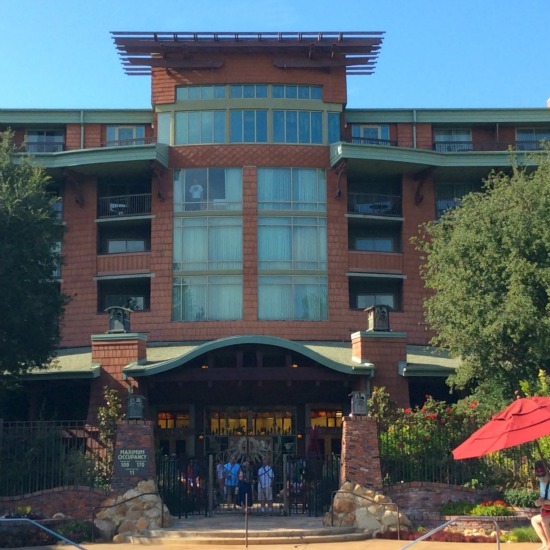 After a long break, we stayed at Disney’s Grand Californian Hotel & Spa this past summer. For location (and saving steps) it can’t be beat. 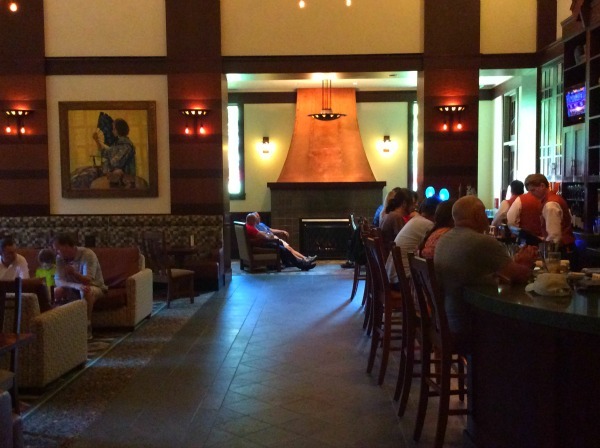 I love sitting in the grand lobby or listening to the storytellers near the hearth fire. (With a cocktail from the Hearthstone Lounge in hand, of course.) Napa Rose is our favorite Disneyland restaurant! I thought the rooms were starting to beg for some rehab, and wish the pool were more interesting and kid-friendly, but I would never turn down the chance to stay here. We’ll have to start saving for our next opportunity! We didn’t hear the storytellers. I wish we had! Our room was nice and I loved the lobby. We are cheapskates and liked the quick service place for breakfast. We did go to the character breakfast because we had it paid for. I really loved being able to walk right into California Adventure Park and Noah went on Grizzly River Run numerous times. We didn’t go in the pool. It seemed like our visit was a bit rushed, but I was thankful for getting to go. We didn’t go in the pool. I did enjoy our stay, but we seemed a bit rushed as we weren’t there for that long. I love the look of the hotel and the location is ideal. I am thankful we even got to go. We always visit the Grand Floridian in WDW but have never stayed in such a Deluxe resort for financial reasons. Plus we don’t feel like we fit there! LOL! Too lowbrow, we are. But it looks beautiful and I should have taken time to look it over when I was there two years ago. Believe me, I know what you mean! Only in the last few years could we stay in the Deluxe resorts, and really mainly through the DVC or with my husband’s conferences. 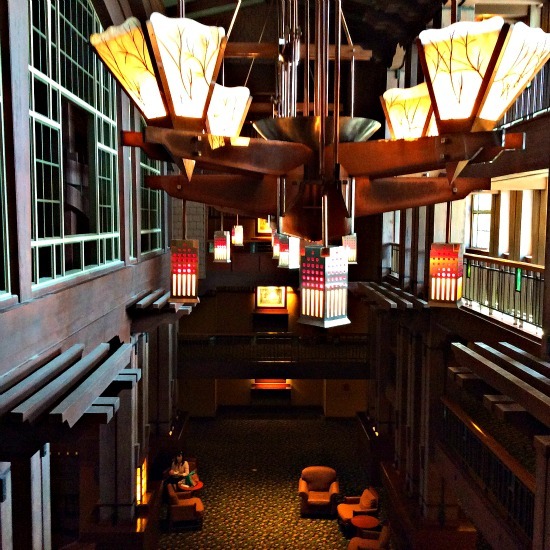 We stayed at the Grand Californian for a conference and I think it was 4-5 nights. I understand about them being so expensive. I wish out they had more DVC rooms out there and it would make it more feasible for us to stay there. I love the architecture of the hotel but I found the grounds slightly loud. It was odd. Though I have never stayed at the Grand Californian I abolutely love walking through the lobby and dining at Storytellers. It is definitely on my bucket list of resorts to stay at…if only it weren’t so difficult to get in to on DVC points. Someday…. I know about the DVC points! If we hadn’t done a conference with my husband’s job we probably wouldn’t have. We really liked it though and I hope you get to stay there some day. I think you will love it. I love Storyteller’s Cafe too! 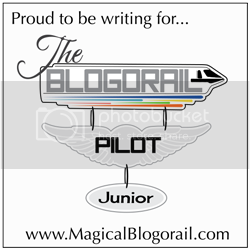 Hi, I’m not sure you’ll get this comment as your paragraph came to me really late. Thanks for including me!